It’s a good day to be a comic book geek as we finally get a look at the stars of two upcoming superhero movies in their costumes, English actor Henry Cavill as Superman and Anne Hathaway as Catwoman. Though it resembles the classic Superman suit, there are some noticeable differences. 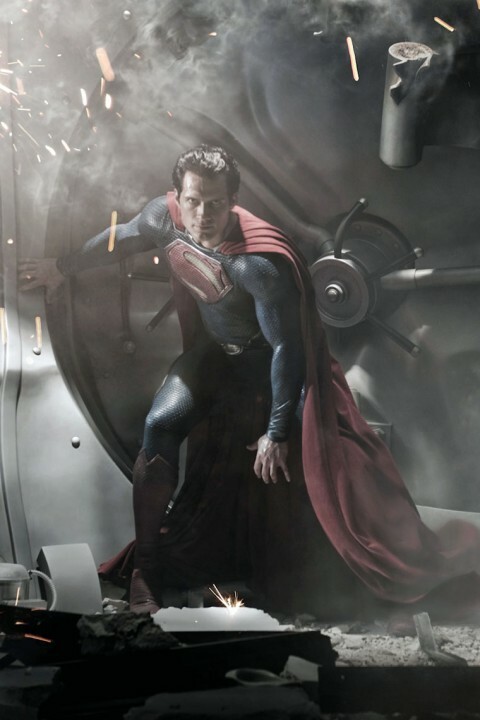 The costume is darker and made of a different material, also the single curl, which is normally on Superman’s forehead, has been cut off. Having seen the reaction to the new Wonder Woman costume a few months back, I am curious about how people are reacting to the changes. Personally, I do think that the costume looks more manly and will fit the big screen better, especially considering that this movie is intended to be darker than previous Superman films. Catwoman without any catlike features? That’s an interesting choice. If I’m not mistaken, the goggles have some sort of cat ear, but that’s about it. 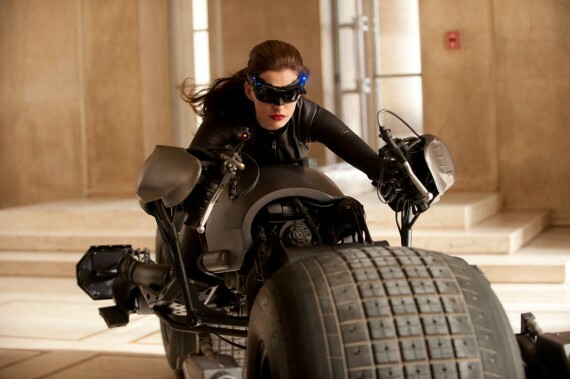 Since she’s on, what is speculated to be, the bat-cycle, it’s hard to judge the costume. However, if the rest of the suit is completely lacking in the feline department Nolan’s going to have some pretty disappointed fans on his hands. It’s thought that the reason pictures of Catwoman have been released is because Nolan knew paparazzi would snap a few photos while they were filming, so he beat them too it. What do you think? Are you impressed by the costumes? Do you think they should have gone with the more classic version of the suits? Let me know by voting and leaving a comment below, also don’t forget to subscribe and click the like button. This entry was posted on August 5, 2011 by adamodwyer1. It was filed under Superhero and was tagged with 2012, actor, actress, anne, are, book, catwoman, character, characters, comic, costume, costumes, english, fans, film, films, hathaway, hero, heroes, movie, movies, new, picture, pictures, poster, posters, released, releasing, revealed, suit, superhero, superheroes, superman, they, why. I think the superman suit looks better but you can’t fully see the catwoman suit so you never know it could be awesome. I love the way they got rid of the superman curl it was pretty stupid looking. Thakn God the stupid hair is gone from Superman. I wonder will the curl be bac when he is plain old Clark Kent though? Superman’s suit has never really looked good.